There are a huge variety of homes on show from heritage to new-build, demonstrating a wide range of efficiency measures from the low cost and DIY things anyone can do, right through to high-tech and more complex solutions. Measures on show include draught proofing, low energy lighting, insulation, window improvements, heating equipment and controls, renewable energy technologies, and much more. Find out about the costs and benefits, pick up information and tips, and get the real story from people who have done this already. The event is free to all but some of the homes do require visitors to book ahead. Bath Green homes is a community project set up by Transition Bath, Bath Preservation Trust, and B&NES Council, organising a programme of events related to home energy efficiency from September –November 2014. 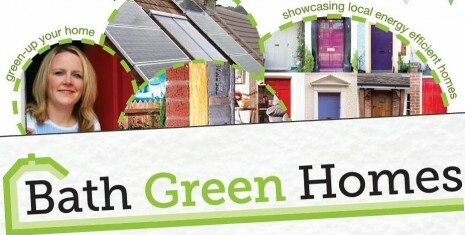 For more information visit the website at www.bathgreenhomes.co.uk or to be kept up to date you can Join the mailing list or follow @BathGreenHomes on Twitter, or to get in contact email admin@bathgreenhomes.co.uk or telephone 01225 477528.